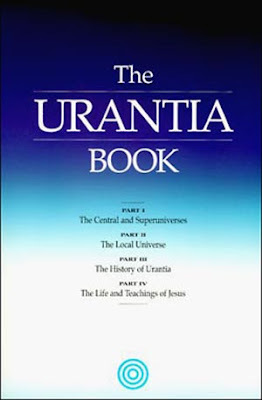 According to the Masters of Light “The Urantia Book” also known as the “Fifth Epochal revelation” is not what many people believe, for that reason it’s unadvisable to read. This book was obviously made through mediumship, however, the mediums that channeled the messages of this book were mentally unbalanced and they distorted completely the concepts they received. Unfortunately there are thousands of people who still read and study this book and they have been misguided by its content. It’s important to emphasize that this book is detrimental and unadvisable to read; the Masters of Light have been categorical and they do not approve its content because the spirits of error had a negative influence on it. Interlocutor: There is a matter that I have always scheduled and I want to clear up completely, it’s related to the Urantia Book because it contains tremendous truths mixed with incredible nonsense. Ruanel: These messages were given by many spirits, spirits of error and Spirits of Light as well, and they were not well channeled due to engrams, preconceptions and impairments of the mental decoder that made them fantasize about roles, worlds, galaxies. Interlocutor: Definitely, it’s a completely confusing book. Interlocutor: Was the Urantia book obtained through channeling? Morgan-El: Of course. It was a channeling that has distorted many things. It has many things right and others not that right. They created a universe so humongous and with many planes and sublevels that it appalls those who don’t understand and obviously it’s also fictitious. This entry was posted at Saturday, December 26, 2009 and is filed under Concepts, Morganel . You can follow any responses to this entry through the .